Home Watercooler Forget Money: What would you do if money was no issue? Forget Money: What would you do if money was no issue? Have you ever sat down and pondered what life would be like if money was no issue? How would life change if you could ditch the debt, indemnify the insurance or rubbish the rent? Would you throw caution to the wind and go a little crazy, or perhaps not much would change at all? Or maybe you have just graduated, and are taking some time this summer to ponder what life has in store for you. Maybe you’re considering going travelling, and weighing that up against the money concerns and pressures that you’re no doubt under. We stumbled across this comic by Josh Mecouch over at Formal Sweatpants. 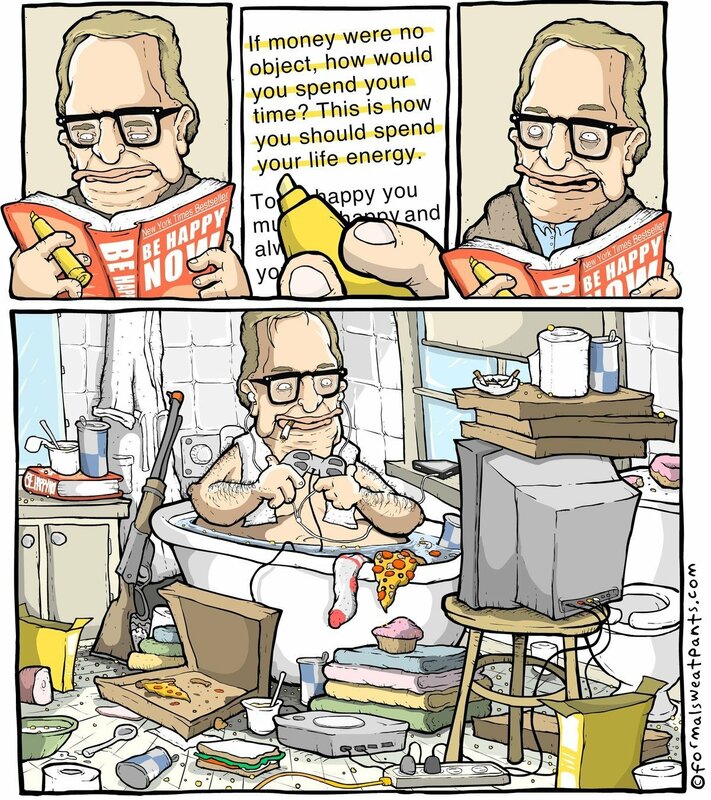 Josh has pondered all of these things and has come up with a comic that probably sums up what most of us would end up doing. We might tell ourselves that we would throw caution to the wind and book the backpacking trip around the world, but how many of might actually just end up sitting in the bath eating pizza all day? Previous articlePhilips ActionFit SHQ5200 review: The ultimate fitness headphones?